Welcome to the School of Information Technology! Part of the Engineering and Technology Portal. The School of Information Technology is moderately integrated with the School of Computer Science. 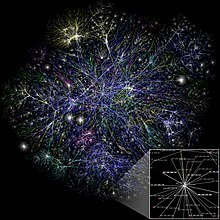 The term is commonly used as a synonym for computers and computer networks, but it also encompasses other information distribution technologies such as television and telephones. Several industries are associated with information technology, including computer hardware, software, electronics, semiconductors, internet, telecommunications equipment, engineering, healthcare, e-commerce and computer services. Information Technology as an undergraduate academic discipline has been well defined by a joint publication of the Association for Computing Machinery (ACM) & IEEE Computer Society (IEEE-CS), Information Technology Curricula 2017: Curriculum Guidelines for Baccalaureate Degree Programs in Information Technology  and by the ABET Criteria for Accrediting Computing Programs . This course will help you learn basic computer skills, including typing and using a mouse. After you've mastered the basics, this course will help you learn about Internet and email, computers, word processing, multimedia, and spreadsheets. This is an introductory course. No previous computer experience is necessary. This course includes computer hardware, computer software, and using an operating system. This course is comprised of 13 lessons on basic computer and Internet use covering each of the IC3 topic areas. Each lesson includes a combination of Wikipedia readings, YouTube videos, and hands-on learning activities. This course is designed around the Certiport Internet and Computing Core Certification (IC3) exam objectives. This course includes computer hardware, computer software, networking, security, and basic IT literacy. This course is comprised of 15 lessons covering IT fundamentals. Each lesson includes a combination of Wikipedia readings, YouTube videos, and hands-on learning activities. This is an introductory college-level computer course. Learners should already be familiar with introductory computer concepts. This course is designed around the CompTIA IT Fundamentals Certification exam objectives. Technical Support services attempt to help users solve specific problems with a product rather than providing training, customization, or other support services. This is a computer hardware and software topic that includes computer hardware, networking, laptops, printers, operational procedures, operating systems, security, mobile devices, and troubleshooting. This course is comprised of 2 parts, 9 sections, and 58 lessons covering computer support. Each lesson includes a combination of Wikipedia readings, YouTube videos, and hands-on learning activities. This is a second-semester, college-level course. Learners should already be familiar with IT Fundamentals. This course is designed around the CompTIA A+ Certification exam objectives. Computer networks are critical parts of almost every organization. Network administrators are responsible for the day-to-day operation of these networks. Exam 98-366: Networking Fundamentals is a Microsoft Technology Associate (MTA) entry level certification exam. This is an introductory networking course. Learners should already be familiar with Windows operating system fundamentals. This is an information technology topic that includes computer network concepts, installation and configuration, media and topologies, management, and security. This course is comprised of 5 sections and 44 lessons covering computer networks. Each lesson includes a combination of Wikipedia readings, YouTube videos, and hands-on learning activities. This course is designed around the CompTIA Network+ Certification exam objectives. This is an advanced computer networking topic that uses a packet analyzer to capture, view, and understand Internet protocols. This course is comprised of 15 lessons that use Wireshark to study and experiment with Internet protocols. Each lesson includes Wikipedia readings, YouTube videos, and hands-on learning activities. This is a third-semester, college-level course. Learners should already be familiar with introductory computer networking concepts. This course includes the ability to install, operate and troubleshoot a small enterprise branch network, including basic network security. This course is comprised of 15 lessons covering Cisco networking. Each lesson includes a combination of Wikipedia and Cisco readings, YouTube videos, and hands-on learning activities. This is a fourth-semester, college-level course. Learners should already be familiar with introductory computer networking concepts and Internet protocols. The course also assists learners in preparing for Cisco CCENT (Interconnecting Cisco Networking Devices Part 1) certification. System administration is the field in which someone manages one or more systems, be they software, hardware, servers or workstations. Its goal is ensuring the systems are running efficiently and effectively. This is an advanced computer networking topic that includes server installation and configuration, server roles, storage, Active Directory and Group Policy, file, print, and web services, remote access, virtualization, application servers, troubleshooting, performance, and reliability. This course is comprised of 15 lessons that use Windows Server to study and experiment with server administration. Each lesson includes a combination of Wikipedia and Microsoft readings, YouTube videos, and hands-on learning activities. The course also assists learners in preparing for the Microsoft Technology Associate (MTA) Exam 98-365: Windows Server Administration Fundamentals. Python is a high-level, object-oriented programming language, created by Guido van Rossum in 1991. Python puts readability at a high standard and this makes it great for both programmers and non-programmers to learn. Bash is now the pre-eminent user shell in Unix / Linux / and any *nix environment, e.g. including BSD / Mac OS X. Cloud computing, also known as on-demand computing, is a kind of Internet-based computing that provides shared processing resources and data to computers and other devices on-demand. Exam 98-369: Cloud Fundamentals is a Microsoft Technology Associate (MTA) entry level certification exam. This is an introductory computer support course. Learners should already be familiar with introductory computer concepts such as those addressed by IC3 certification. Exam 98-367: Security Fundamentals is a Microsoft Technology Associate (MTA) entry level certification exam. This is an advanced networking course. Learners should already be familiar with Windows operating system fundamentals, networking fundamentals, and Windows server administration fundamentals. This is an information technology topic that includes network security, operational security, threats and vulnerabilities, host security, access control, and cryptography. This course is comprised of 6 sections and 33 lessons covering IT security. Each lesson includes a combination of Wikipedia readings, YouTube videos, and hands-on learning activities. This is a fourth-semester, college-level course. Learners should already be familiar with computer support concepts and computer networking concepts. This course is designed around the CompTIA Security+ Certification exam objectives. Proper communication and professional skills are very important in the industry. Technical writers write technical and software manuals, handbooks, technical guides and provide online help. Anyone who writes about technology for other people is typically referred to as a technical writer. Most professionals require some technical writing skills. In the information technology realm, project managers and analysts write a large number of technical documents that must be clear and concise. A technical writer explains the product to the end user. IT Service and Support provides customers or end users with information and support related to an organization's information technology products and services. These support activities are collectively referred to as help desk or service desk functions, and are performed as a subset of IT Service Management (ITSM). The course also assists learners in preparing for corresponding HDI and ITIL certifications. IT Service Management, also known as ITSM, focuses on the implementation and management of quality information technology services through people, processes, and information technology, based on standardized process improvement frameworks and methodologies. This course comprises seven lessons on IT service management. Each lesson includes a combination of Wikipedia readings, YouTube videos, and hands-on learning activities. This is a third-semester, college-level course. Learners should already be familiar with IT Service and Support concepts. The course also assists learners in preparing for ITIL Foundation certification. ↑ Jeremy G. Butler (1997). "A History of Information Technology and Systems". University of Arizona. Retrieved 2 August 2012. ↑ Leavitt, Harold J.; Whisler, Thomas L. (1958). "Management in the 1980's". Harvard Business Review. ↑ Association for Computing Machinery (ACM) & IEEE Computer Society (IEEE-CS) (2017). "Information Technology Curricula 2017: Curriculum Guidelines for Baccalaureate Degree Programs in Information Technology" (PDF). Association for Computing Machinery (ACM). Retrieved 17 February 2018. ↑ ABET Computing Accreditation Commission (2017). "ABET Computing Accreditation Commission Criteria Version 2.0 for Accrediting Computing Programs". ABET. Retrieved 17 February 2018.